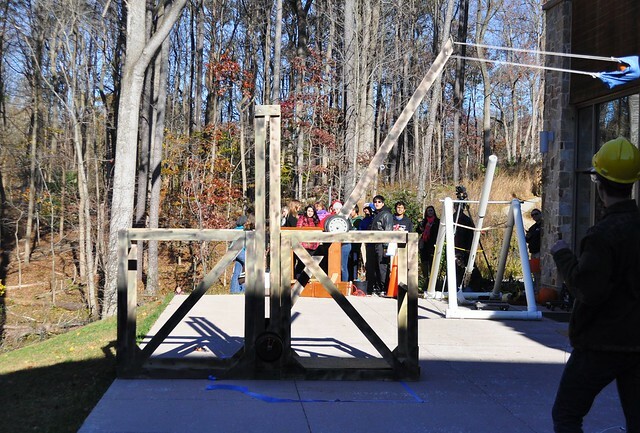 From 2013-2015, Robinson Nature Center partnered with HCPSS to put on the Pumpkin Chunkin' competition on the first Sunday after Halloween. The competition provided high school students with the opportunity to create, and compete with, launching mechanisms of their own engineered design. Though, currently, the competition has been discontinued due to curriculum changes within HCPSS, stay tuned for a potential 2018 competition open to the public! Congratulations to the 2015 Pumpkin Chunkin' Competitors! The above awards were determined based on scoring rubrics. Each teams scores for the four awards were totaled and averaged and the overall winners are listed below. This event would not have been possible without the help of local businesses and organizations. The Home Depot in Columbia provided in-kind donations to help each team complete its design. The Office Depot in Elkridge and the Howard County Department of Recreation & Parks provided school supplies and prizes for student and teacher gift bags. 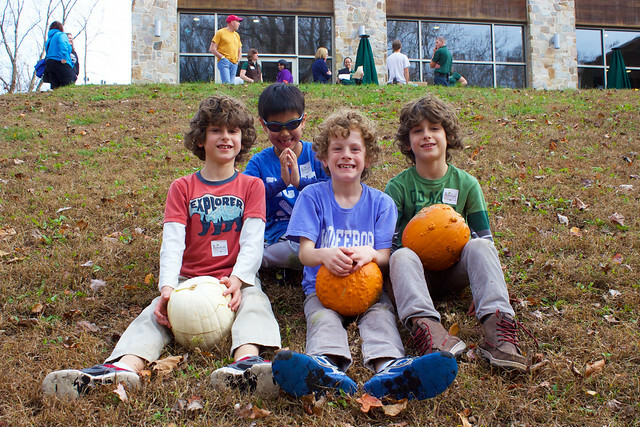 The First Presbyterian Church of Howard County donated left-over pumpkins from their pumpkin patch. And Blair Dubilier and Associates provided equipment and staff to help run live-feed video of the competition into the auditorium to ensure spectators that needed seating for the duration of the competition could enjoy the show. Thanks to all of these groups for their support! Click on the photo below to see photos from the 2015 competition! Click on the photo below to view the album of photos from the event.